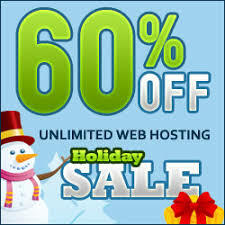 Home / Free Domain / Free Web Hosting / How to get unlimited hosting and domain for free....???????? How to get unlimited hosting and domain for free....???????? Now we all at some point have dreamed of building a Website, but have done research into the subject and found out some...let's say "Dodgy" stuff about it, these being something along the lines of having to pay for a Domain or for Hosting, worrying about how much bandwidth your site is going to use up and whatnot, but in this tutorial, I will show you how to set up your own domain with unlimited hosting, for free. 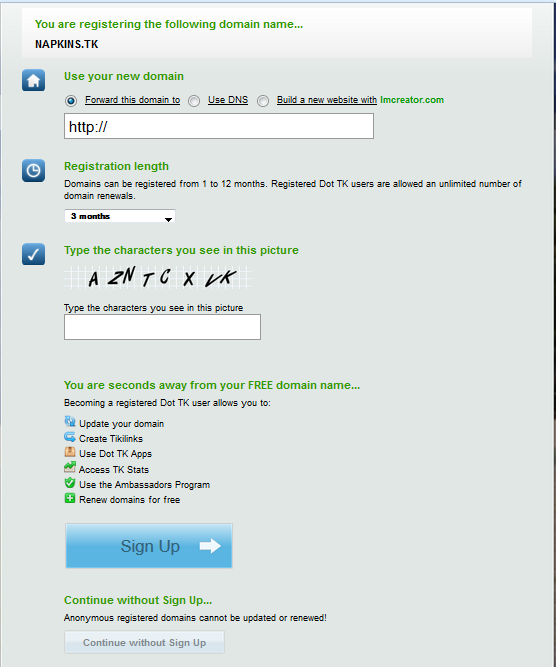 So, the first step is to register our domain name, to do this we are going to need an E-Mail address (You can get one of these from companies like Google or Yahoo [Other E-Mail providers are available], Click Here or Here to set one up.) as we need it to register our domain. Dot.tk is a site where you can register free domain names, but unfortunately we are restricted to the single ".tk" domain name as it is free, "you get what you are given" effectively. Now, if you wanted a top level domain, you would have to register a domain with a registrar such as Dsampy Webs where you can see the prices of domains, but we won't be doing that in this tutorial. So what we want to do now is register our domain, but choose wisely, because we don't want to make a big mistake like Pen Island Pens did with their domain (penisland.net), I think you can figure that one out by yourselves, but anyway, simply enter your desired domain name into the box and press "Go". If you don't and it says "Domain Name Already Taken" or if it says something about it being a special domain, choose a different one. We want to sign up, so enter all of the required information, and where it says "Use your new domain", simply find a random image on Google images and copy-paste the image location into the redirect, then register as we are going to change the DNS of the domain later on. To register, click "Sign Up" and click the service you want to sign up with, Such as Facebook, Twitter or Google. And that's our domain registered. Please note: It may take a while before you can actually go to your domain (Up to 48 hours or so). We want to click "Sign Up"
Fill out the required information and when you are done with the process, check back here with the next step. After filling out the required information, and creating the site, press "Switch" on your domain in control panel. 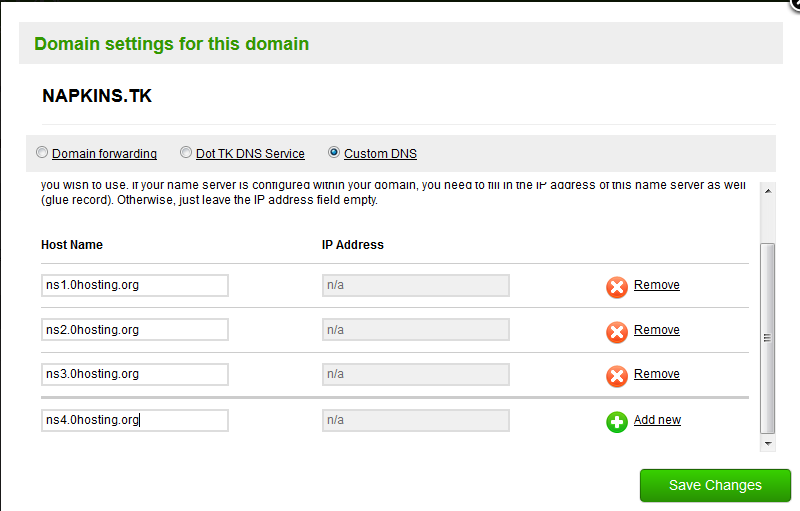 This means that we need to point our .tk domain to the nameservers of our webhost. So we need to go back to our my.dot.tk tab and modify our domain. Again, it may take up to 48 hours to actually get the domain working, don't worry though, in the mean time you can build your website using HTML, PHP or if you don't know any of those languages, use a package like Wordpress or Joomla. 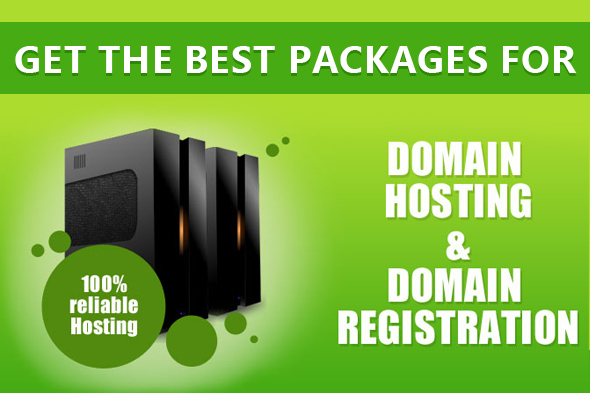 Enjoy your new domain and unlimited webspace! Social networking sites like facebook have a spam filter in place to try and reduce the number of phishing sites, so you may need to enter a code into facebook to share your new site. Please note that I am in no way being paid or bribed to advertise any companies, all services used in this tutorial are strictly used because they are what I use for my personal purposes.